Head to your Choppertown Library on VHX or click the link we emailed you after purchase. Click on the package or playlist you want to watch. The content's video page will load and the video will start streaming immediately! 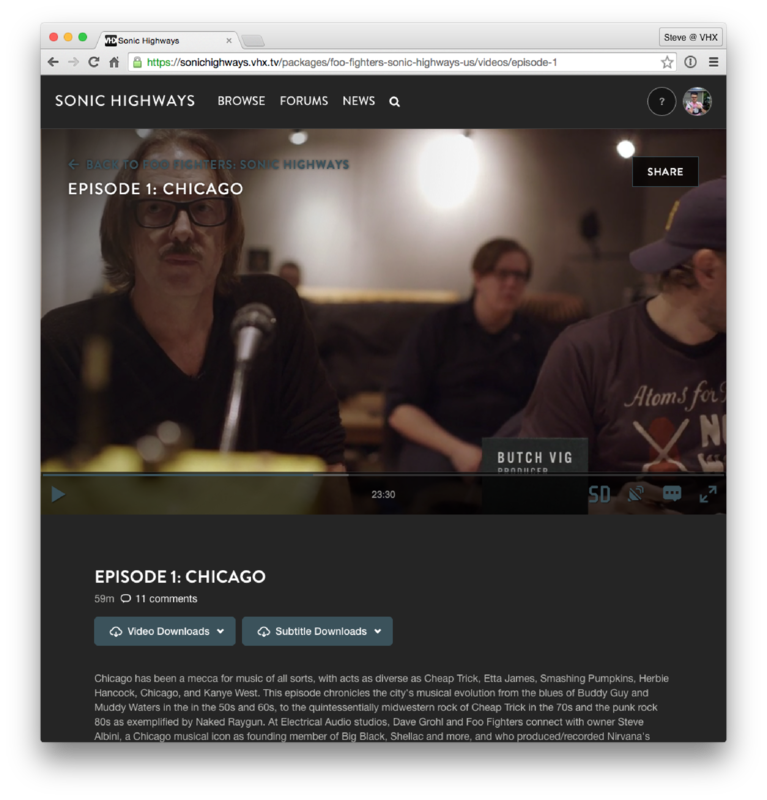 Many videos on VHX are downloadable from their watch pages. The downloadable MP4 video files play on most computers and video-playing programs. If you do have some trouble for any reason, we recommend VLC Player, which is free and works on both Mac & Windows PCs. Videos within a SUBSCRIPTION or RENTAL are streaming-only via computer. Downloads are disabled. Also, sellers have the option of disabling downloads, so if you do not see the download buttons on the video page, they are likely disabled.